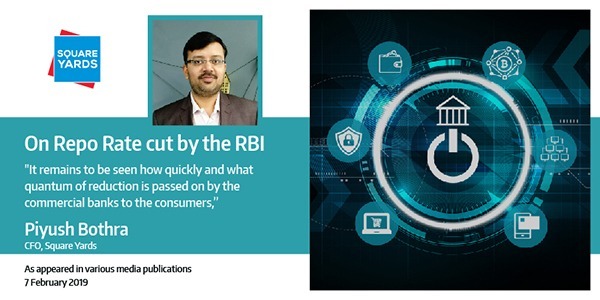 The Reserve Bank of India has recently taken a decision about cutting the REPO rate. This is expected to boost credit growth, just before the crucial elections for Lok Sabha in the coming months. Various media publications carried quotes by Piyush Bothra, CFO, Square Yards and Square Capital, the mortgage distribution arm of the group.